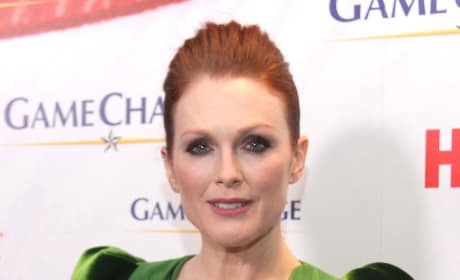 Julianne Moore was born in North Carolina and has been nominated for four Oscars. Among this stars biggest films have been Hannibal, The Hours and Boogie Nights. She's not afraid to take her clothes off for a role. That's always a plus. Mockingjay star Julianne Moore is talking about why it was so important to her to join The Hunger Games franchise. Moore is set to play revolutionary leader President Coin. The Hunger Games: Mockingjay Part 1 and Part 2 has its President Coin. Julianne Moore has been cast, Lionsgate announced, as the leader of the rebellion spawned by Jennifer Lawrence's Katniss. 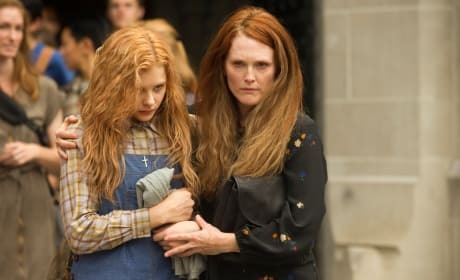 Julianne Moore: Confirmed for Carrie! 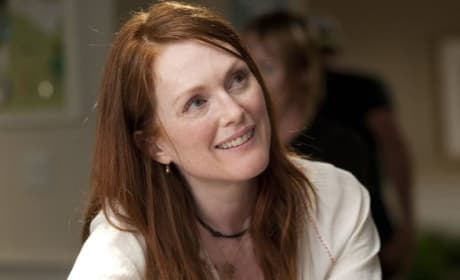 Julianne Moore has signed on for Carrie. She will play a vital role in the remake. Check out actress Julianne Moore as Alaska governor Sarah Palin. She's a dead ringer for the politician. 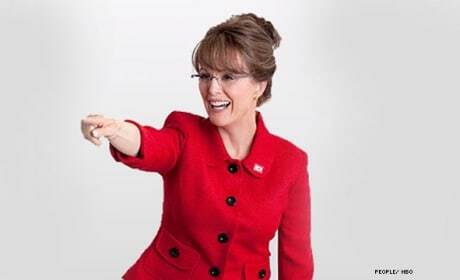 Casting News: Julianne Moore as Sarah Palin? The actress has been cast to play the controversial political leader in a new HBO film. 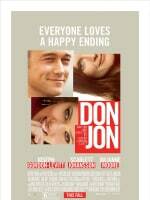 The movie is based on the bestselling book of the same name. Fashion designer makes a movie. Julianne Moore, Liam Neeson and Amanda Seyfried will star on Chloe. Here's a bit more on the movie.